Tech giants Apple and Amazon are reported to be in the hunt for the James Bond distribution rights, according to a piece in trade paper THR today. Not only is the theatrical distribution agreement for Bond 25 up for grabs, but perhaps the future of the 007 universe on screen - whatever shape that screen is. As it stands today, MGM owns half the rights to the James Bond film franchise after they took over United Artists, who in turn had purchased them from producer Harry Saltzman who hit financial difficulties in the early 1970s. The other 50% is owned by Danjaq, the parent company to EON Productions - both ran by Barbara Broccoli and Michael G. Wilson who inherited it from Albert R. 'Cubby' Broccoli. MGM and Danjaq's deal is complicated, but in an over-simplified nutshell, MGM front the money and Danjaq/EON make the films (although MGM has veto power over casting). MGM control the home distribution rights and Danjaq approves merchandise deals. MGM also used to distribute theatrical releases, but since they lost that wing of their business in the last bankruptcy restructuring, they have had to partner up with another studio. After MGM wasted almost all of 2016 chasing a failed investment deal from China (which was aborted after Beijing brought in new foreign investment rules), they started 2017 still floundering to find a distribution partner for the next James Bond film. Sony Pictures' original two film deal saw them co-finance the budget and distribute 'Casino Royale' and 'Quantum of Solace', and was later re-upped for 'Skyfall' and 'SPECTRE' (although Paramount was also considering that latter deal but baulked at the 8% profit margin). Back in January, after the Chinese deal was aborted, EON and MGM received pitches from Sony Pictures, Warner Bros, Universal Pictures, 20th Century Fox, and Annapurna. Paramount and Disney were said to not be interested at that time. With 007 cheerleader Amy Pascal ousted from Sony following the hacking incident, some speculated that may be the end of the Sony/MGM relationship, but reports indicated that the new leadership is still chasing a Bond 25 deal hard. That said, Warner Bros are understood to now be the leading contender for the one film agreement. Although there is a little over a year before cameras start rolling, MGM needs to sign a distribution partner quickly for Bond 25. Daniel Craig committing to the film and set US release date of November 9th, 2019, should help accelerate a deal. But today's news that Apple and Amazon are vying for a Bond tie-up may muddy the waters. THR reports: "...the emergence of Apple - which is considered such a viable competitor that Warners is now pressing MGM hard to close a deal - and Amazon shows that the digital giants consider Bond one of the last untapped brands (like a Marvel, Pixar or Lucasfilm) that could act as a game-changer in the content space. Apple’s and Amazon’s inclusion in the chase would indicate that more is on the table than film rights, including the future of the franchise if MGM will sell or license out for the right price." "Sources say newly arrived executives Zack Van Amburg and Jamie Erlicht are spearheading the effort on Apple’s behalf. Given their background (the pair served as co-presidents of Sony Pictures Television and shocked the industry when they announced in June that they were leaving for Apple), this would suggest that Apple is interested in cutting a larger rights deal or acquiring full ownership to exploit Bond’s largely unmined TV potential. Valuation of the franchise may be anywhere between $2 billion and $5 billion, says an insider." Bond is considered an under-utilized property in the media landscape, especially when put in context with the reinvigoration and explosion of the Marvel and Star Wars universes, both now controlled by Disney. Apple or Amazon are no doubt looking well beyond a theatrical release deal for Bond 25 (for which either would probably partner with Warner Bros, ironically), and maximizing revenue from digital releases in their eco-system as well as new original spin-off TV series, films and games based on the franchise. 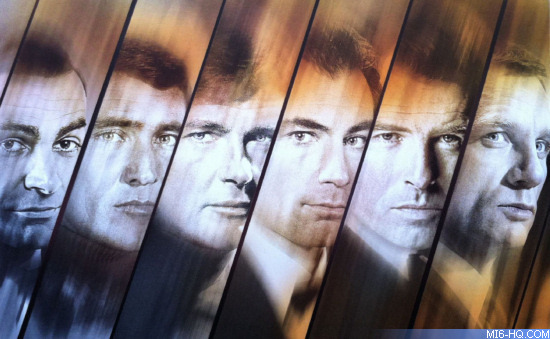 Could this mean that MGM may be looking to sell off their 50% interest in the Bond film series? Perhaps. But MI6 also understands that EON chief Barbara Broccoli has been watching how Marvel and Star Wars have exploited their franchises into wider universes, too. 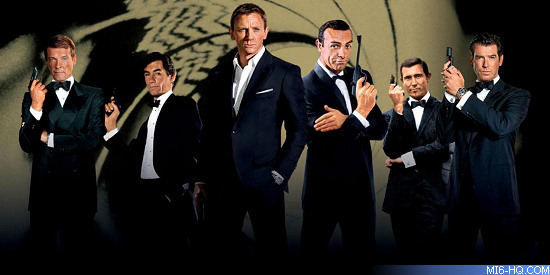 In recent years, Broccoli has diversified more into theatre productions and, along with Wilson, EON is now producing non-007 films causing longer and longer gaps between Bond adventures. Whatever deal is done for Bond 25 distribution, it is likely to be the last 'one-off' with an ever-increasing probability that a post-Daniel Craig landscape will look completely different to what fans are used to now.